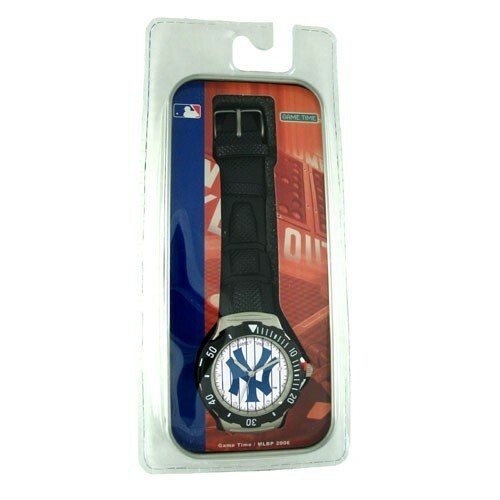 Show your favorite Pro team, College or NASCAR driver spirit with the affordable Agent Series watch from Game Time. The Agent Series features officially licensed logos and colors protected by a genuine glass crystal, rotating bezel, and rugged metal case construction. The comfortable Polyurethane strap is durable and adjustable to fit most wrist sizes. This quartz accurate watch is water resistant to 3 ATM (99 ft.) and is backed by Game Timeï¿½s Limited Lifetime Warranty.